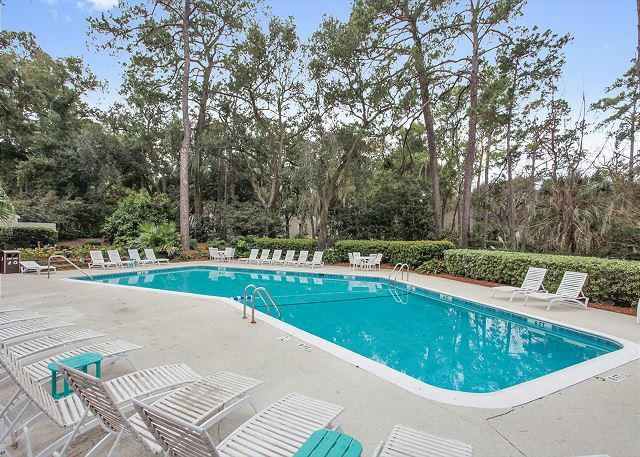 Racquet Club 2321 is a cozy villa in the Harbour Town area of Sea Pines. 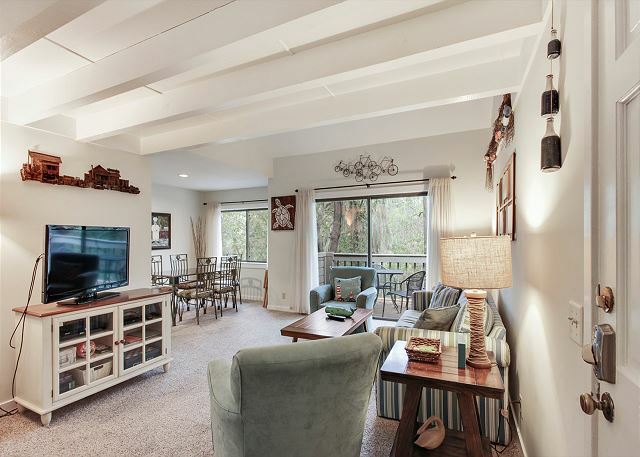 This villa is a spacious 1 bedroom condo with a King in the master bedroom, plus a bonus loft with two twin beds. 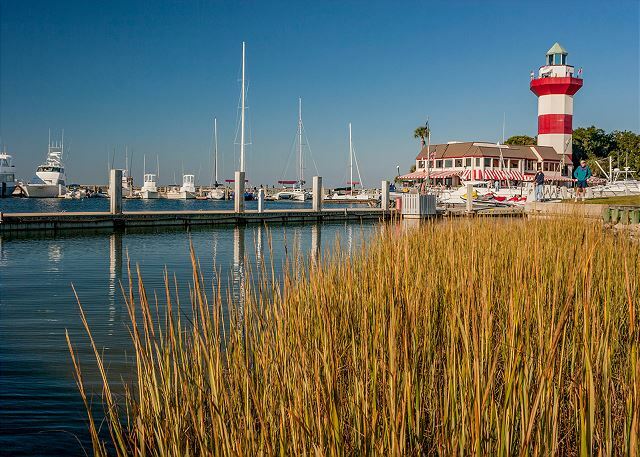 It is a short walk to all the action in the Harbour Town marina including water sports, restaurants and shopping. 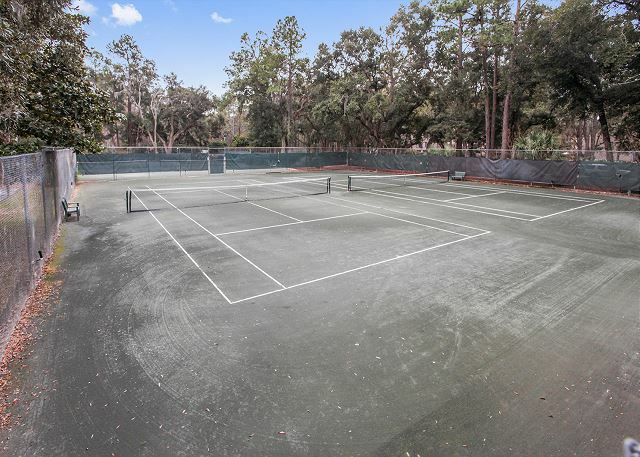 Racquet Club amenities include an on-site pool, and Tennis Courts. 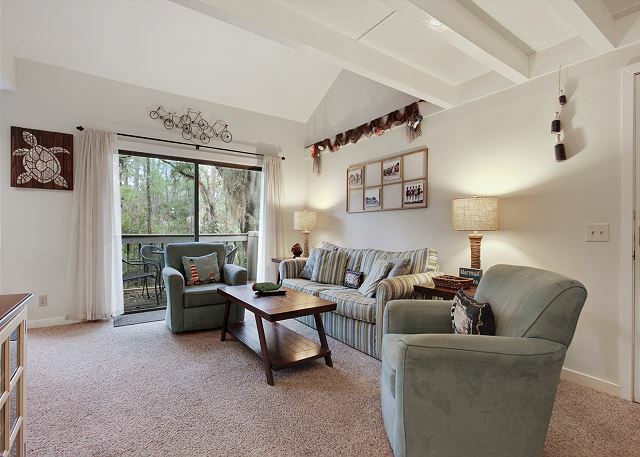 This is perfect spot for a couple, or family looking to explore all that Sea Pines has to offer. Biking is one of the biggest attractions to Sea Pines and you can jump on your bikes and hit the trails right outside of the villa. There are 15+ miles of paved leisure trails, and hike through the 605 acre Forest Preserve. If golf is your game, then Sea Pines has award winning top-tier 3 courses, including the world famous PGA Harbour Town course. 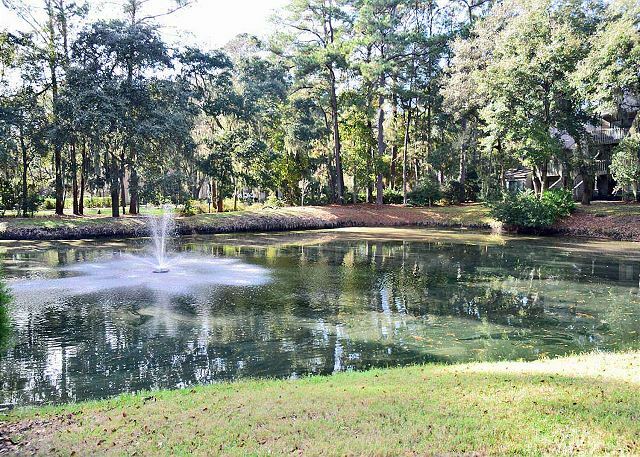 Racquet Club is peaceful, & quiet community surrounded by beautiful trees and may even spot an alligator or turtles! Leave the car behind and take the old fashioned Sea Pines trolley car to the beach. 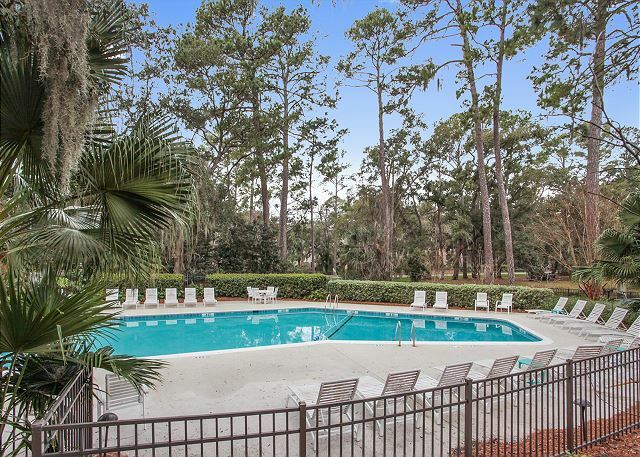 The Sea Pines Beach Club features an oceanside bar, casual dining, and a rooftop terrace. First visit to Sea Pines area - loved that we could walk to Harbor Town. 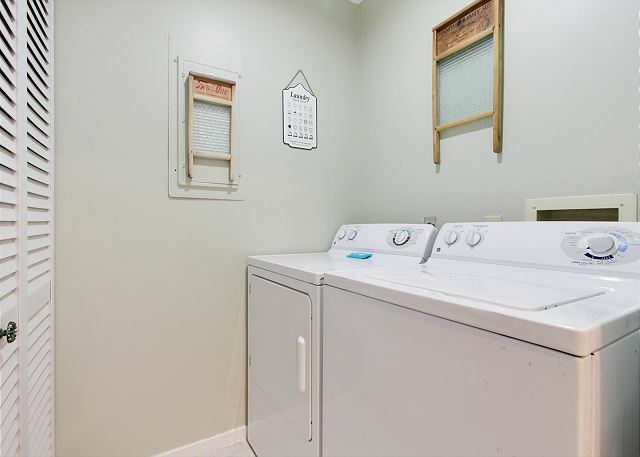 The condo was perfect for our 3 night stay, spacious & having a washer/dryer in unit is great! Very relaxing on deck - the little lake was nice to have for a view & kept watching for an alligator! Property worked well for a quick trip to Hilton Head. We loved biking the trails and beach in Sea Pines. The unit was clean and well-equipped. Close to road meant some traffic noise. Property Management was helpful before and during our stay. The condo was perfect. VERY clean, great layout, comfortable. I loved all the closet space and the two large bathrooms were ideal. The washing machine sounded like it might be on its last leg, but it worked. Our only complaint, and this can’t be changed, would be that the unit is very close to the main road leading into harbor town. There was a lot of foot and auto traffic right outside the unit. The location was not ideal, but it would not keep me from staying at this unit again. It was just not my favorite thing. 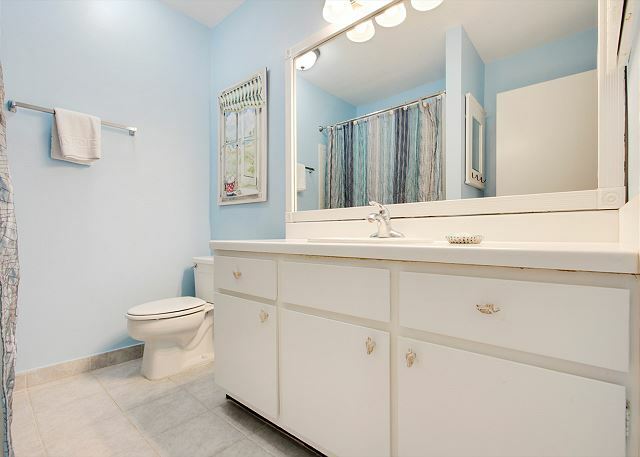 Beautiful condo, well maintenanced...would definitely stay again! 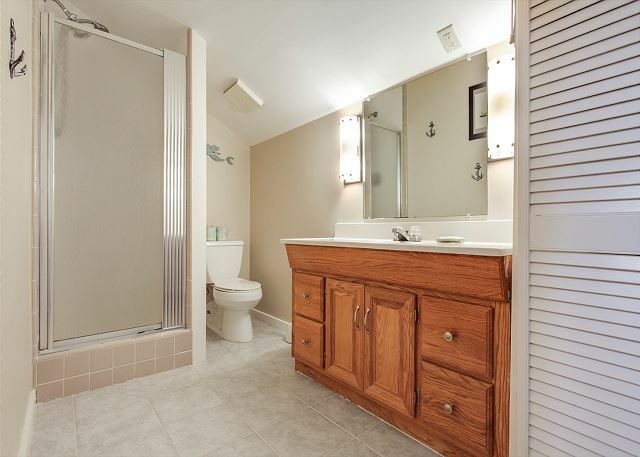 Great value, great location, intimate place for 2.
really no complaints except master bed too soft. Otherwise perfect, comfortable, cozy. 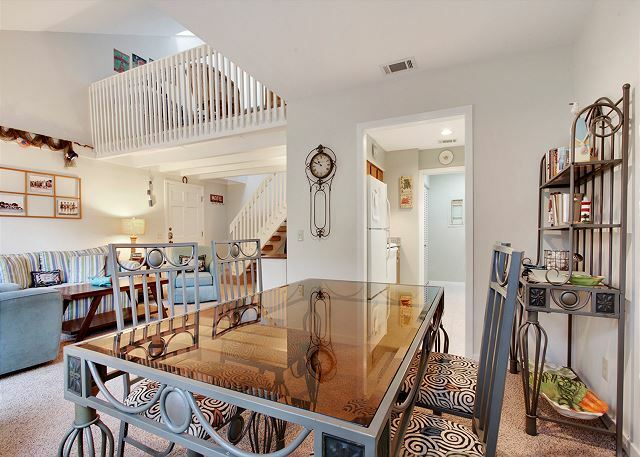 We loved this property especially for the location - just a 1/4 mile walk into Harbour Town plus the shuttle to the beach stops right in the parking lot! Also a nice view from the balcony. Very quiet and peaceful. 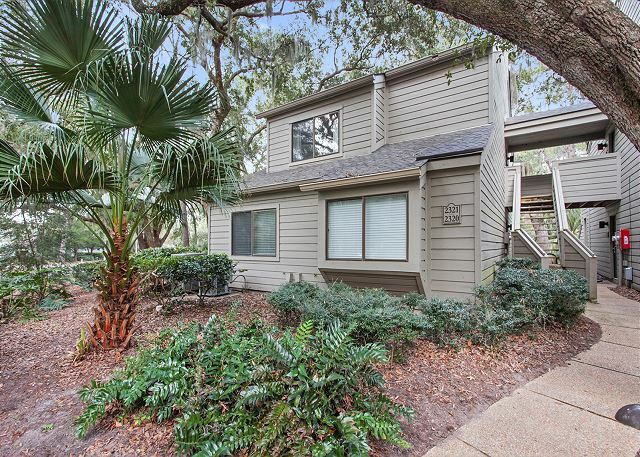 Great villa in Sea Pines, just a few steps from Harbor Town. We had everything we needed. Villa was clean and well-stocked. We had a slight problem with the AC, but the rental company was incredibly prompt and helpful, even though it was a Sunday night. Worth noting - the steps to the loft are a little bit narrow, so just take care. Nothing dangerous at all, just a heads-up. The upstairs mattresses are super-firm, which is great for some, but not for others. The children with us were oblivious and slept like logs, but an adult might notice. These are NOT complaints, just observations. This is a perfect villa, an incredible value, and made for an ideal vacation! We'll be back! We had a blast during our stay here. It had everything we need and more. We are already talking about our next vacation so that we can make sure we stay at this place. My wife and I had a nice time in Hilton Head staying at the Racquet Club condo. The house was in good shape and the location was perfect. The only downside was that the bed was very uncomfortable - we both had trouble sleeping throughout the weekend. 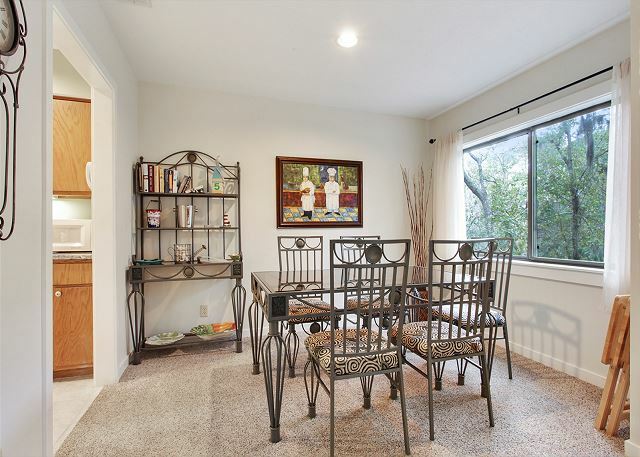 The location and overall condition of the condo was great. It worked perfectly for our family, but could use some updating. Had a great time here. The location is ideal, we had an easy time getting anywhere and loved all the walking paths. The rental was very clean, very comfortable. I thought the master bed was a little firm but that may just be my opinion. My wife thought it was great. Overall a great place to stay, we would definitely stay here again. We took our 14 yr old boy and this was a perfect condo for him. 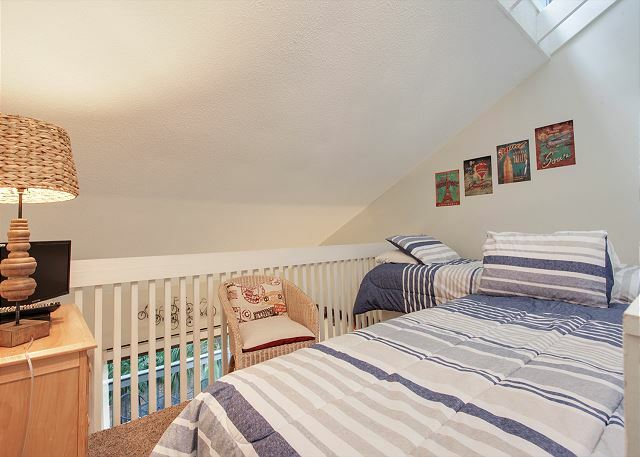 Loft with own bathroom... 2 twin beds. It was equipped with everything you could possibly need. Very easy bike ride to Harbor Town. Lovely condominium. Very comfortable and included everything we needed to enjoy ourselves. The only issue was with the bed in the master suite - (seemed old, lack of support and noisy). Everything else was great. We found the rental just the right size for the two of us, on the second floor which kept the noise down, and very clean. The only problem we had was getting the living room TV on. It was a puzzle. We had to call for help and the young man came right over on a Sunday. Also, we had no AC upon arrival, but then again, service was prompt. 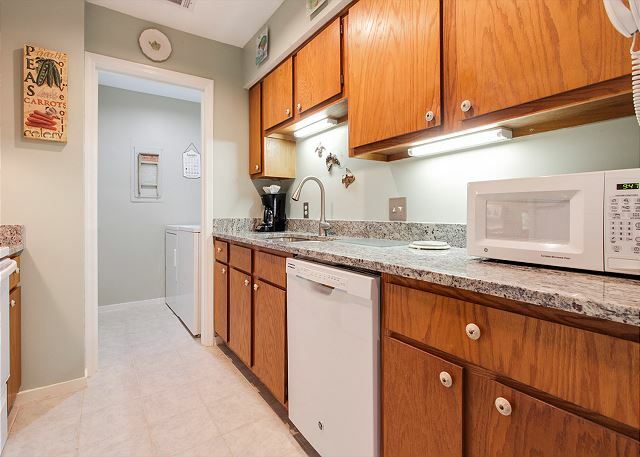 Over all it was a great location with walking distance to Harbor Town and a bike trail very handy. Overall our stay was excellent. Great location - the whole complex is older but the unit was very nicely furnished and maintained. 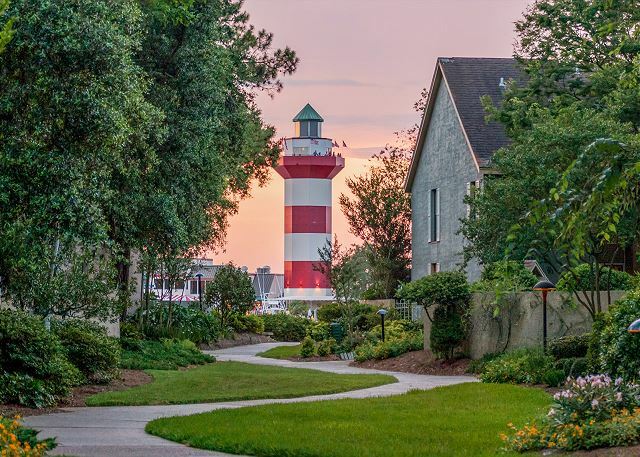 We are longtime visitors to HHI and Sea Pines. Usually, we have our extended family with us and thus we rent a larger unit or units. On this trip, it was just my wife, me and for part of the week, my wife's brother. We rented this nicely appointed and designed condominium from 09/04/2016-09/11/2016. It was clean and very conveniently located. 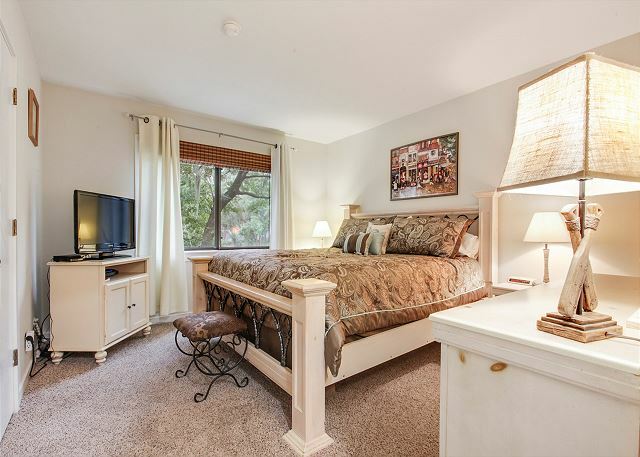 It is a nicely sized unit for 2 adults or 2 adults and maybe 1 teen or pre-teen. For 3 adults, it is a little small, though not uncomfortable. 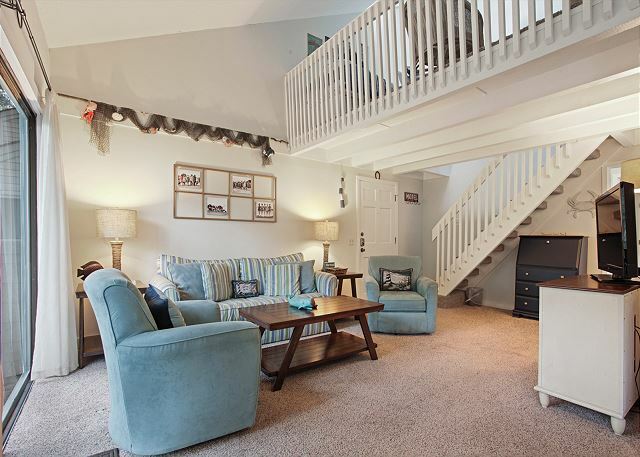 There were only 2 issues related to this rental: (1)The stairway to this upstairs unit needs repair; and (2) The trash area for Racquet Club Villas was unkempt. These issues would not prevent us from renting this unit again. 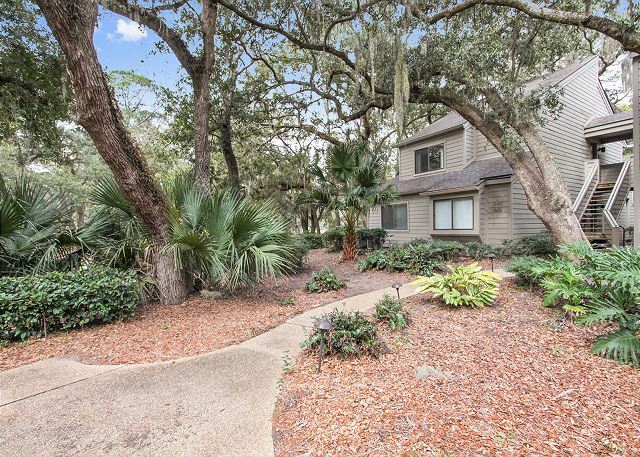 I have stayed in Sea Pines many times with large groups (15+) in several large homes on the island. This was my first trip with a smaller group (2 kids & 2 adults). 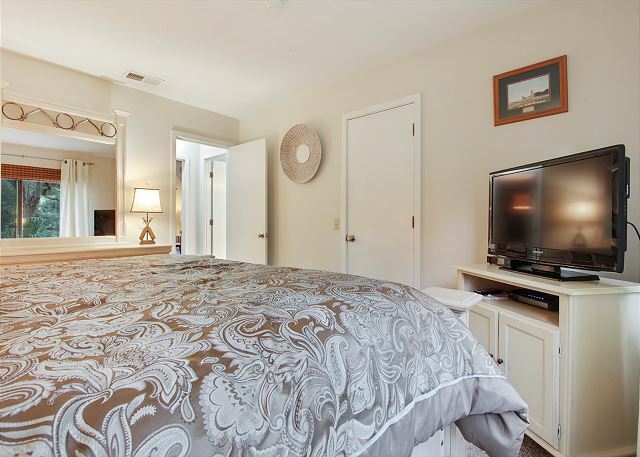 The villa was very clean and had everything that we needed and the location was wonderful...the bike path is right across the street and the Beach Club, South Beach, Lawton Stables, and Harbor Town are all easy bike rides, even for my 8 year old. Recommend! This is a great villa! It's described as "cozy" but the property felt plenty large enough for the four of us. 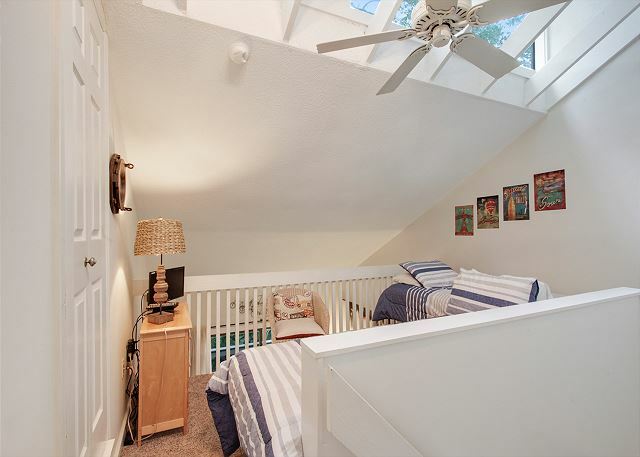 It's listed as a 1 bedroom, but the upstairs loft with a full bathroom and two single beds functioned just fine as a second "bedroom" for our boys (ages 9 and 12). Location is great too. Super close to Harbor Town (including my wife's favorite coffee shop, the Harbor Town Bakery). Found everything we needed in the kitchen and enjoyed the full size washer and dryer (not always common in villa rentals). 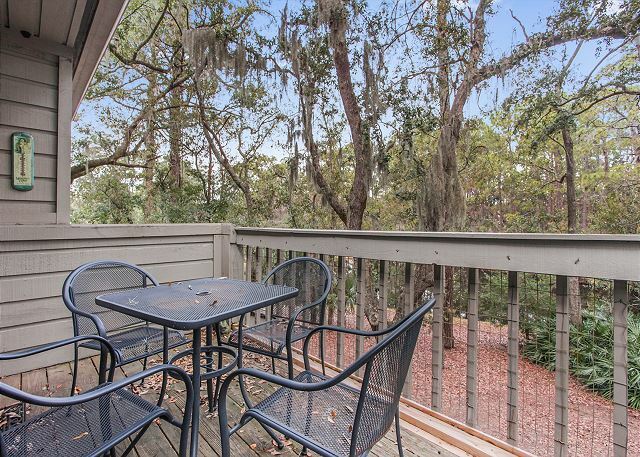 An unexpected benefit was the great natural view from the back deck - the best we've ever had in our many many trips to HHI. This is a great property and I highly recommend it. Property management was very friendly and responsive. Villa was clean and tastefully decorated. Highly recommend this property, especially for the location and price! By the way, Sea Pines is the best location on HHI. Highly recommend renting bikes as there are miles of beautiful paved bike paths in the area. The beach club (beach access) is also super. Don't miss the Sea Shack for amazing seafood and Giuseppi's Pizza, just down the road from this villa, for amazing pizza. Our rental experience was great. We booked our stay only 3 days before our arrival and everything went very smoothly.